Most businesses follow an S-shaped life-cycle. They start small (like mice) and many die. A small percentage successfully scale up rapidly (like gazelles) into companies worth millions and even billions. Some eventually get sold or slow down like elephants. 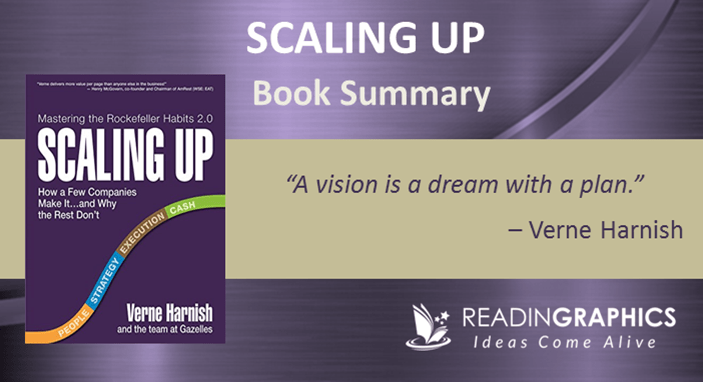 In “Scaling Up”, Verne Harnish focuses on a company’s growth stage and shows you the step-by-step process to successfully grow your business by 10 times. In this summary, we’ll give an overview of the 3 key obstacles to growth, the 4D framework to overcome them and the 4 foundations to scale up your business. A business of 1 person operates very different from that of 10, 50 versus 500 people. To grow successfully, business leaders must overcome 3 key challenges. • Delegate effectively to the right people and put in place systems for accountability, measurement, feedback and rewards. • Stay in touch with the customers, marketplace and frontline staff to predict and respond to emerging trends. • Ensure everyone is moving in the same direction and repeatedly doing what’s needed to achieve the company’s goals. Build physical and organizational systems and structures (e.g. phone systems, accounting systems, customer databases etc.) to connect the evolving/emerging parts of the business and smoothen the communication and decision-making processes. You face different competitive pressures as you grow. At $1-10 million turnover, a company needs more cash for growth and to tide over expensive mistakes as it refines its niche. Beyond $10 million, it’ll face new competitive threats and customer demands as well as greater internal complexities and costs. At $50 million turnover, it must run like clockwork to consistently attract/retain talent, satisfy customer needs and generate predictable profits. 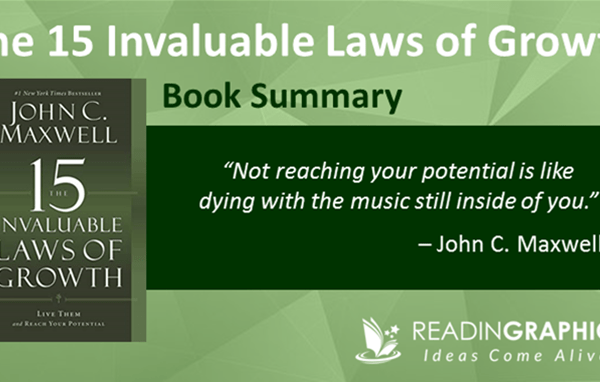 • Drivers: Drive the implementation of 10 Rockefeller Habits within your organization. This can be accelerated with coaching, technology and continuous learning. • Demands: Balance 2 conflicting demands—People vs Processes. Concurrently improve the company’s reputation with 3 groups of people (employees, customers and shareholders) while you improve productivity with 3 processes (Make/Buy, Sell, and Recordkeeping). • Disciplines: Build 3 disciplines that support effective execution: set priorities; gather data and build a meeting rhythm. 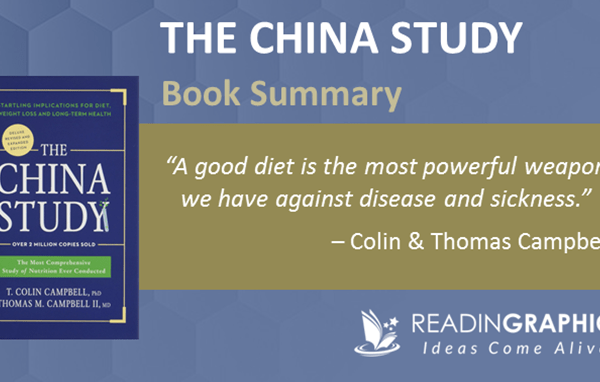 • Decisions: The bulk of the book focuses on applying the concepts above to 4 key foundations needed for lasting business growth: People, Strategy, Execution and Cash. The Scaling Up book is like a detailed guidebook that walks you through various tools for each of these 4 foundations (worksheets are downloadable from the Scaling Up website). We’ll now give a broad outline of the key concept/components for the 4 foundations of People, Strategy, Execution and Cash. Do get a copy of our full 15-page summary for a detailed overview and to consolidate the steps/idea visually with our 1-page infographic summary. To grow your business 10x, you must attract and retain the right people internally/externally, develop a differentiated strategy that sets you apart from competitors, execute perfectly through 3 habits, and have enough cash to survive the storms. Let’s take a quick look at what each component entails. To build a strong business, you need great people both internally and externally, from your staff to investors, suppliers and customers. Ask this key question: Are the stakeholders (employees, customers, shareholders) happy and engaged in the business, and would you choose to work with them again? • Accountability means you have the “ability to count”. It must fall on only 1 person who will track the progress and surface relevant issues. • Responsibility means you have the “ability to respond”. It falls on everyone who’s involved in a process or issue. • Authority means you are the party who makes the final decision. In the book / our complete summary, we elaborate on (i) how leaders can use 3 tools (the One-Page Personal Plan, Function Accountability Chart and Process Accountability Chart) to define clear accountabilities, (ii) how to hire A-Players and (iii) how to manage them. Strategy involves both strategic thinking and execution planning. Ask this key question: Can you articulate your company’s strategy simply, and is it bringing sustainable growth in revenue and gross margins? In the book / full 15-page summary, we zoom in details like (i) how to define your Core (values, purpose and competencies) and bring them to life, (ii) how to use the 7 Strata Worksheet to define a winning strategy (including mindshare, brand promises, guarantee, 1-phrase strategy, differentiating activities, X-Factor, BHAG), (iii) consolidate them on the One-Page Strategic Plan (OPSP) to get everyone on the same page and (iv) prepare for your quarterly/annual Strategic Planning Session. When you have a winning strategy that’s well-executed, you should see profitability at ≥3x the industry average and no drama from daily operations. Ask this key question: Are all processes running smoothly and driving superior profitability? Use 2 key tools to support 3 vital habits. In the book / our full summary, we (i) look in detail at 2 key tools (the Rockefeller Habits Checklist™ + Who, What, When) and (ii) how to combine them into 3 key habits (priorities, data, meeting rhythm). Growth burns cash and business often go bust when they run out of cash. Yet, most leaders focus on profits/losses and neglect cash flow. Ask this key question: Do you have steady (and ideally internal) sources of cash to power your business growth? 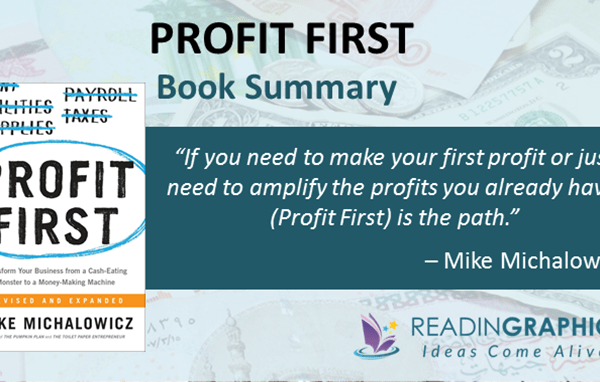 In the book / our full book summary, we examine specifically how to (i) accelerate your cash flow, (ii) drive profitability with accounting and (iii) use the 7 key financial levers to generate cash faster internally for growth. It typically takes 2-3 years for all the tools, techniques and habits to be incorporated in an organization, and another 2-3 years to master them. Don’t try to do everything at once—persevere in taking 1 step at a time to improve 1 area at a time, and you’ll enjoy massive payoffs. 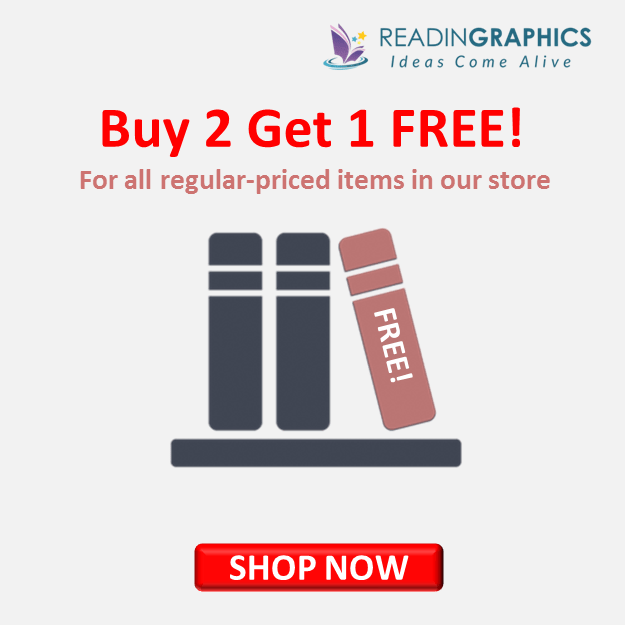 The book also comes with various examples and detailed instructions on how to use the tools and worksheets. 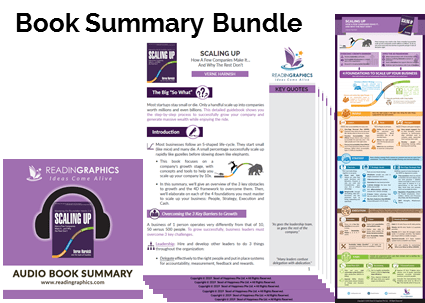 Do get a copy of the book for the full details, get our Scaling Up book summary bundle for an overview of the various ideas and tips, or download the resources/materials at https://scalingup.com/. Use this powerful framework to grow your business 10x! 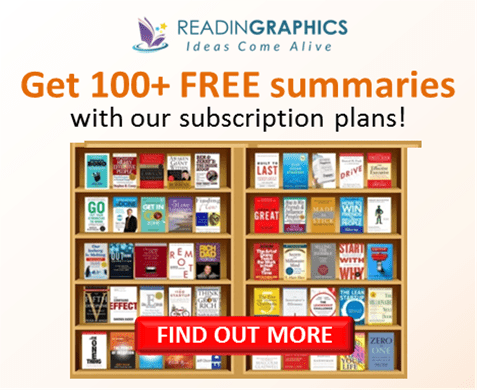 Click here to download the Scaling Up summary & infographic Click here to order the book online Click here for more resources and free tips! Thanks for the detailed summary.